Produktinformationen "TETRIX® Quarter-Scale HS-785HB Winch Servo Motor with Horn"
The HS-785HB is a super-duty servo with advanced features. Incorporated into this servo are heavy-duty Karbonite gears and integrated circuitry for accurate positioning over a 1,260-degree range (3.5 rotations). 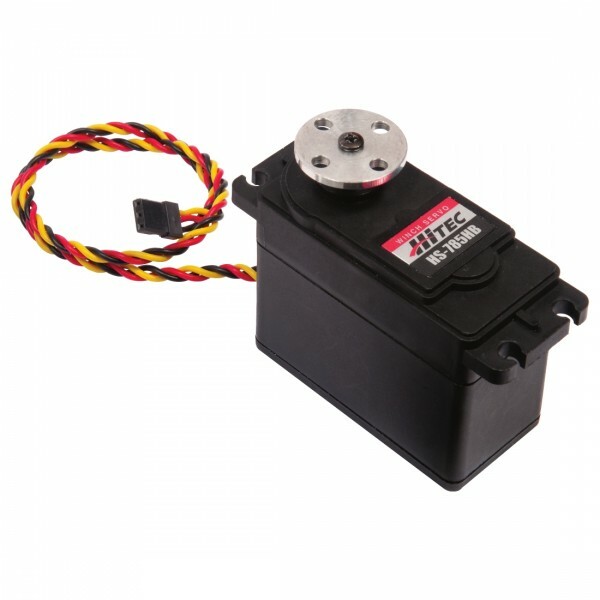 Delivering a maximum torque of 183 oz-inches, this unique servo offers greater rotational range control and power to TETRIX® robot builds. Attach this quarter-scale servo to your TETRIX robot with ease with one of our quarter-scale servo mounting brackets. Each servo includes one nylon dual-wind pulley and one TETRIX Aluminum Servo Horn. Weiterführende Links zu "TETRIX® Quarter-Scale HS-785HB Winch Servo Motor with Horn"
Weitere Info "TETRIX® Quarter-Scale HS-785HB Winch Servo Motor with Horn"
Kundenbewertungen für "TETRIX® Quarter-Scale HS-785HB Winch Servo Motor with Horn"